Magazines are a source of entertainment and intellectual stimulation for millions of Americans. Magazines of all types—general interest, specialty, and literary—enrich our lives by bringing us articles on every subject imaginable, not to mention short stories, poetry, essays, and interviews. Most of us take the everyday pleasure of reading magazines for granted. It’s easy to forget that many people have a visual or physical condition that prevents them from reading. If you or someone you know loves magazines but can’t read them, or can read them only with great difficulty, we can help. Choice Magazine Listening is an audio anthology of high-quality magazine writing, offered completely free of charge to eligible adults all over the country. CML’s exceptional, unique service isn’t only for those who are blind. It’s for anyone who has difficulty reading, or even holding a magazine, due to a visual or physical limitation. Such conditions include, but are not limited to, macular degeneration, diabetes, Parkinson’s disease, muscular dystrophy, cerebral palsy, dyslexia, ALS, stroke, and more. Each 12-hour issue of CML contains several dozen unabridged articles, plus a few pieces of fiction and poetry, carefully selected by our three experienced editors from approximately 100 magazines. The selections are recorded by professional audiobook narrators and brought to you four times a year: Spring, Summer, Fall, and Winter. Not only is CML absolutely free, but the special player you will need is provided free by the National Library Service for the Blind and Physically Handicapped, Library of Congress (NLS). Remember, no matter how you receive CML, it’s always 100 percent free! ● If you already have the digital talking-book player from the NLS, and if you use a computer, you can download CML and begin listening right away. Downloading onto your computer is the best way to get CML. It’s fast and convenient, and there’s nothing to return. You will have access not only to the current issue but also to back issues from the past several years, and you can keep a library of your CML issues on your own thumb drives or purchased digital talking-book cartridges. ● If you already have the digital talking-book player but are not able to download, we can sign you up right now for a free subscription by mail. Every three months you will receive a digital talking-book cartridge containing the current issue of CML. You will have almost two months to listen before returning the cartridge, postage-free, in the plastic mailer it arrived in. ● If you are still using the older four-track cassette player from the NLS, we can send you CML on special-speed four-track cassettes. However, we will be phasing out cassette production, so we strongly encourage you to contact your regional talking-book library and request the new, free digital talking-book player. The new player is easier to use than the cassette player, is lighter and more portable, and offers superior sound. Important: Our special-speed four-track cassettes cannot be played on a regular cassette player. 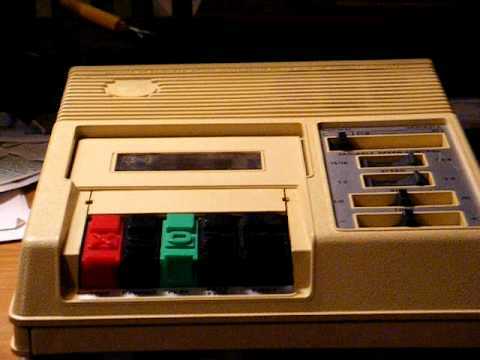 They can be played only on the special four-track player from the NLS, which is currently being replaced by the new digital talking-book player. Keep in mind that if you use a computer and can download CML, that’s always your best option! ● If you don’t yet have the free digital talking-book player, simply fill out the NLS Application for Free Library Service, have it signed by a certifying authority such as a physician, nurse, or social worker, and send it to your regional talking-book library. Or contact us and we will mail you the application. Once you receive the player, let us know and we will start your free subscription to Choice Magazine Listening. And don’t forget, you can call or email us anytime if you have questions or concerns. We know some of this can be new and confusing, especially if you’re unfamiliar with the special player or are not yet accustomed to reading with your ears rather than with your eyes. It really is a simple and enjoyable process, and we think you’ll love getting back into magazines with CML!